Ice cream lovers in Makati are in for an exciting treat! The world’s favorite ice cream brand is introducing “It’s BR Time!” Join this exciting activity by visiting the Baskin-Robbins store at the second floor of Glorietta 2 (2/F) at 3 p.m. on October 13, 2017 Friday and get a junior scoop of your favorite ice cream flavor for FREE! Joining is easy! Follow Baskin-Robbins on Facebook HERE, Twitter and Instagram and share the “It’s BR Time” post with the hashtags #ItsBRtime and #baskinrobbinsph. 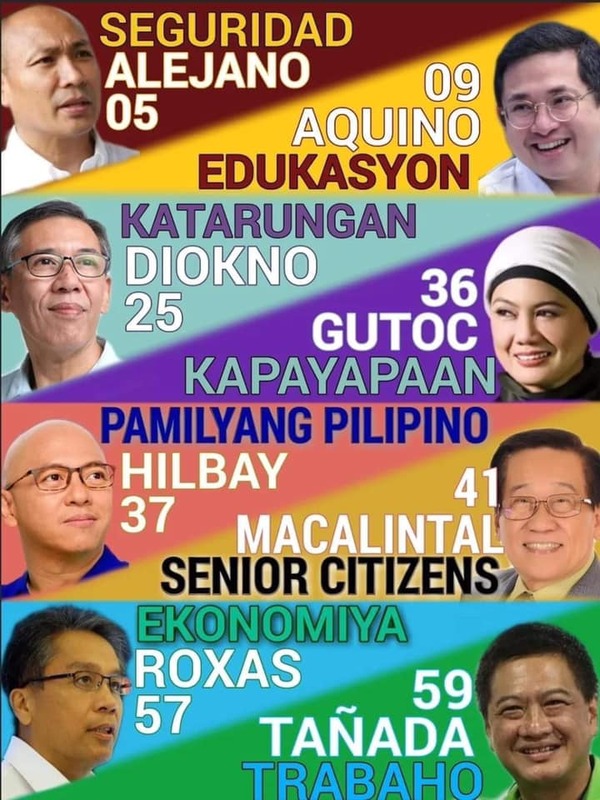 Tag your friends and make sure the post is set to public. Simply show your shared post at the Baskin-Robbins store to get your coupon. 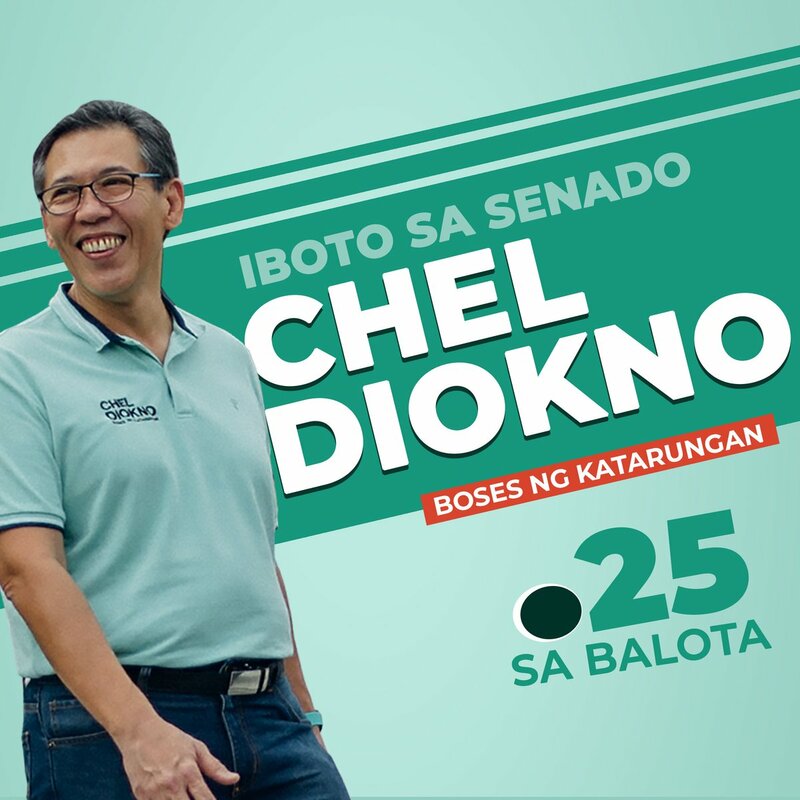 Distribution of coupons will start on October 12, 2017 Thursday at Baskin Robbins, Glorietta 2. Join ‘It’s BR Time!’ and celebrate the delicious treats offered by the world’s most loved ice cream brand. Take your pick from 31 original Baskin-Robbins ice cream flavors. Savor the October flavor of the month, the delicious and spooky Orange You Scared, a witty combo of chocolate ice cream and orange-colored flakes and bon bon ice cream with marshmallow cups in milk chocolate, all swirled with an orange-colored whipped ribbon. 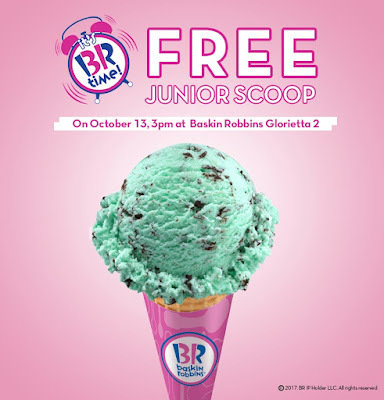 Visit Baskin-Robbins in Glorietta 2 on October 13 at 3 p.m. and get a junior scoop of this delicious ice cream flavor for free! Then stay tuned for the next episode of “It’s BR Time”. 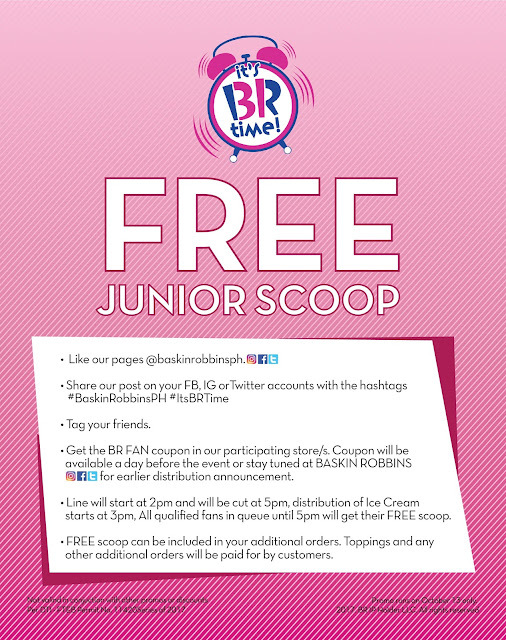 Baskin-Robbins also has shops in Bonifacio High Street, Uptown Place Mall, Central Square and SM Aura in Bonifacio Global City; Ayala Malls The 30th and SM East Ortigas in Pasig; Greenbelt 5 and Glorietta 5 in Makati; SM North EDSA (2/F and The Block) and TriNoma Mall in Quezon City; SM Southmall in Las Piñas; SM City Pampanga; SM Dasmariñas in Cavite and Solenad in Santa Rosa, Laguna.